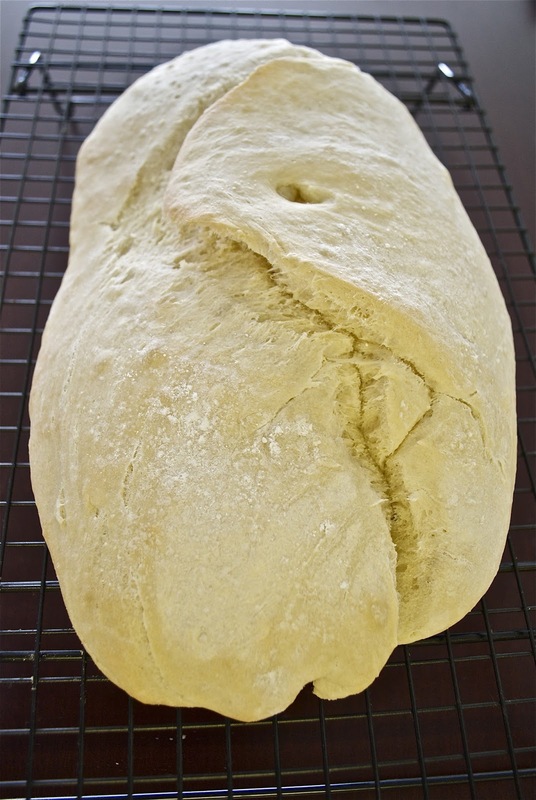 Nothing compares to the aroma of homemade bread being baked in your kitchen. 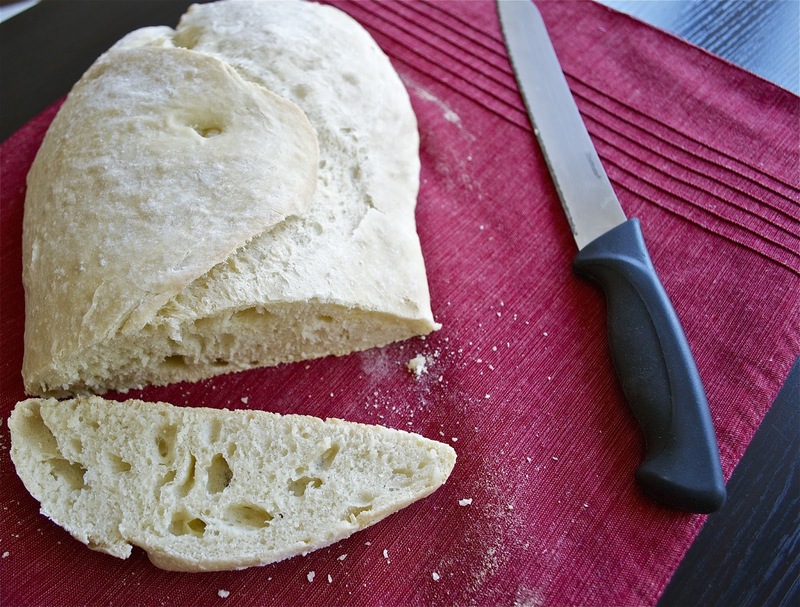 The only thing that comes close is tasting that homemade bread fresh out of the oven. There was a time when I thought the only way to enjoy these luxuries was if you had a bread machine, and then I came across the recipe for English Muffin Bread. It sounded easy enough, so I tried it and ever since it has been a recipe that I go back to and make frequently. So, when I found this recipe for Homemade Ciabatta Bread I decided to expand my bread making repertoire. 1. Combine flour, yeast, salt and sugar in a medium bowl. Pour in warm water and stir for 5-10 minutes with a wooden spoon (or use a dough hook attachment) until well combined. 2. 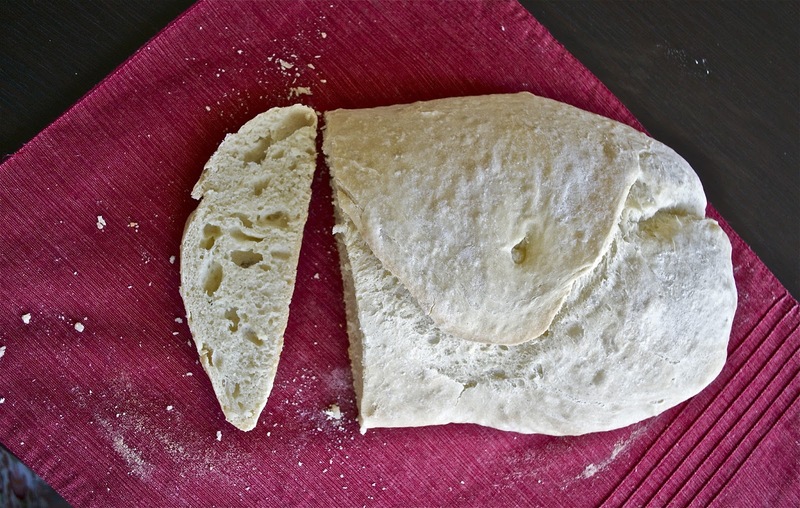 With well-floured hands, knead the dough for 5 minutes. The dough will be very sticky, but try your best! 3. Coat a large bowl with olive oil, then place your dough in it and drizzle 2 tsp more on top of the dough. Move your dough around until it is totally covered in the olive oil. Cover the bowl with a clean towel and place in a warm spot to rise for 2 hours.